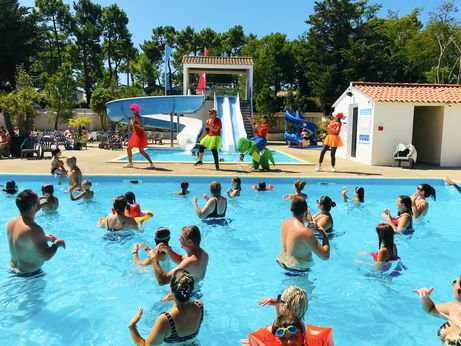 Campsite Les Prises - Réserver en ligne sur capfun.com! 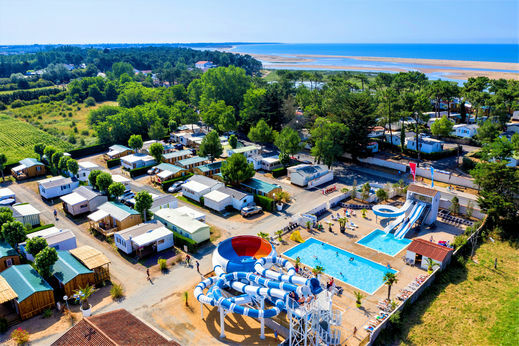 Campsite Les Prises**** is situated in the bay 'La belle Henriette', between the seaside resort Sables d'Olonne and La Rochelle. Looking out on the Island of Ré, you'll find a sandy beach perfect for swimming, sunbathing or watersports. 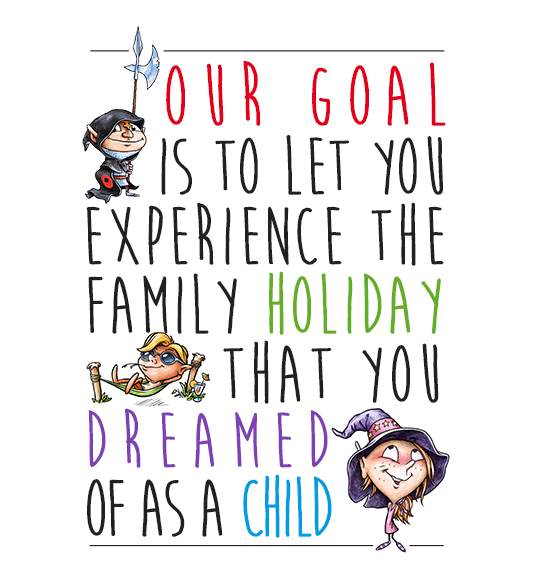 The campsite features mobile home rentals for a family holiday or a vacation with friends. The water park of the campsite consists of 2 areas. The first one is equipped with an outdoor heated pool, 3 water slides and a paddling pool with a mini slide for the little ones. The second area has a covered heated pool, a whirlpool, a paddling pool and an outdoor terrace. On the coast of Vendée, you'll find many sites and activities easily accessible from the campsite. 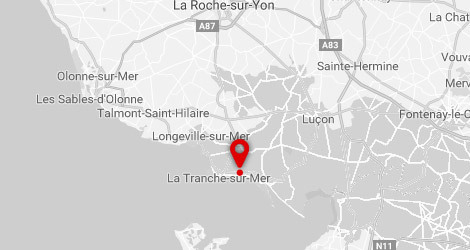 Enjoy the best surf spots along the coast, including the beautiful Terrière beach. Ride your bicycle on the many paths between the sea and the forests and discover local specialities on traditional markets, such as the Gâche Vendéenne or the Préfou. 90km from the campsite is the famous Puy du Fou park, taking you into a journey through the history of France and Europe and featuring incredible shows.